Cheques are accept but must be cleared before the item is collected or dispatched. Add Us To Favourites. Add To Favourites. LAND ROVER DISCOVERY 2. We are happy to help you. RECEIVER RADIO REMOTE. Parts colour may very due to manufacture production. PICTURES AND PART NUMBERS ARE FOR REFERENCE ONLY AND DO NOT IMPLY THE MANUFACTURER. This listing is for a used part This Telephone Reciever is from a 2004 Range Rover MK3 (LM) Please match current part number of 84-11-6922942-01 as shown in photo. Here we have my classified sale of a Genuine Land Rover Freelander 1 1996-06. UHC500110 Land Rover Freelander 2.5 V6 / TD4 boite automatique ECU - auto testée. Auto numéro de pièce de gearbox ECU UHC500110. Manufacturer Part Number UHC500110. Chaque fois que possible, nous fournissons le numéro de pièce. 2015 LAND ROVER RANGE ROVER EVOQUE ECU. This item has been removed from a: 2015 LAND ROVER RANGE ROVER EVOQUE. Model: RANGE ROVER EVOQUE. Year: 2015. Antenna Module. PartNumber EJ32-18K940-DA. Make: LAND ROVER. L R pièces Ltd est un autorisée distributeur Bearmach, nous nous spécialisons dans nouvelles pièces de rechange Land Rover, boulon en acier inoxydable définit pour Land Rover et le général entretien pièces. LAND ROVER RANGE ROVER P38. HARNESS - TOWING 12S. We are happy to help you. Parts colour may very due to manufacture production. PICTURES AND PART NUMBERS ARE FOR REFERENCE ONLY AND DO NOT IMPLY THE MANUFACTURER. Land Rover discovery 4 / Range Rover sport air suspension Ecu in perfect working condition. This item was removed from a running and driving vehicle and it has been tested and is fully working as it should. If you have any questions please send us an email. Please see our other items for more car parts. Many thanks for looking. Unsere gebrauchten Autoteile sind oftmals verschmutzt und mit Lackstift beschrieben. Bei Innenraumteilen empfiehlt sich daher eine Reinigung. Schreiben Sie uns einfach eine Nachricht. Interner Lagerindex:Q.1.2-1-#17.790. Bobine d'allumage VALEO : 245121. LAND ROVER : NEC000070 - NEC000110L. MG : NEC000070 - NEC000110L. LAND ROVER. MG ZS, 180 2.5 i V6 177cv, 180 2.5 i V6 Berline 177cv, 180 2.5 i V6 Berline 24V 177 cv. MG ZT Berline, 190 2.5 i V6 190cv, 180 2.5 i V6 177cv, 180 2.5 i V6 24V 177 cv. Verkauft wird die Ware, die auf dem Bild abgebildet ist ! Jaguar / Land Rover. Marke: Jaguar. damit wir die Kompatibilität für Ihr Fahrzeug überprüfen können. LAND ROVER Range Rover vogue L322 téléphone Bluetooth régulateur de vitesse récepteur 6922912. Type Land Rover - Range Rover vogue. Année de construction / période de production 2003 / 2002-2009. Ses pièces de rechange pas là ?. PART NUMBER AMR1097. LAND ROVER DISCOVERY RANGE ROVER WABCO ABS ECU. For Sale is a ECU Gateway Module. Part Number: EJ32-14F681-AC. Removed from a 2013 LR2225 LAND ROVER RANGE ROVER EVOQUE 2179cc Diesel 5 Door Estate. Please see item description for more information, you will receive everything you see in the images. RANGE ROVER EVOQUE. FREELANDER II. LAND ROVER PART NO: 941.0138.01. V40 2012-2016. S80 2007-2015. S60 2010-2016. DISCOVERY SPORT. LAND ROVER. This part was removed from a Right Hand Drive Vehicle. Compatibility is a guide only. Your item will need to be signed for. TRIM LEVEL. Part Number. TD4 SE TECH. Land Rover Defender 90 110 130 Door Lock 3 x Canon & touches correspondant Set MTC6504. Reference OE/OEM Number MTC6504. Manufacturer Part Number MTC6504. FITS portes Defender jusqu'à 2001. Toutes les clés correspondent tous les verrous dans cette série. Discovery 3 - All. Terrain Vehicles LTD is a family run Independent Land Rover and Range Rover specialist garage. This will need virganising and then programmming to the vehicle. All our used parts are tested by ourselves before we remove them from the vehicle. RANGE ROVER SPORT / LAND ROVER DISCOVERY SUSPENSION MODULE. WITH OVER 6,000 SQ FT OF SHELVED PARTS, CLEANED AND READY TO DISPATCH WE ARE SURE TO HAVE THE PART THAT YOU ARE LOOKING FOR. PART NUMBERRQT500170. This listing is for a genuine Land Rover used parts This Transfer Box Ecu Module is from a Range Rover P38 Please match current part number of AMR5252 as shown in the picture. Reference OE/OEM Number PRC2670. Part Manufacturer Number 575081. Reference OE/OEM Number 575081. Manufacturer Part Number 575081. TOUTE nouvelle qualité de REPRODUCTION (Non authentique) LUCAS interrupteur d’allumage/chauffage pour la série 2 a Diesel LAND ROVER. 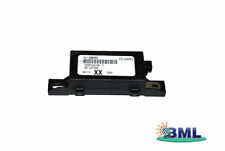 The part number is GX63-1A159-AA. Die Bilder dienen Lediglich als Anhaltspunkt. Kann für diverse andre Fahrzeuge Kompatibel sein. Zustand: Neuwertig und Uncodiert Evt. Land Rover. Part number: HAP542 5WP33501-06. Removed from: Land Rover Freelander 2 2.2TD4 2007. Part Number - UHC100250. LAND ROVER DISCOVERY 2 TD5 OR V8 AUTOMATIC. You can follow the item from here, straight to your door! Land Rover Discovery 4 New Véritable pare-brise avant du capteur de pluie. Discovery 4 à partir de 2010. Ce capteur est situé dans le couvercle de rétroviseur. Range Rover L322 de 2010 à 2012. Range Rover Sport à partir de 2010. Part Number: SRD000150. 1999-2004 LAND ROVER DISCOVERY 2 TD5 ABS ECU. Donor Vehicle: LAND ROVER DISCOVERY 2. Land Rover Specialist - Recyclers / Breakers. Item: ABS ECU. WE CANNOT BE HELD RESPONSIBLE FOR PARTINCOMPATIBILITY. L322 - All - 2006. Terrain Vehicles LTD is a family run Independent Land Rover and Range Rover specialist garage. (Chassis Range 6S198392 to 6A999999). LAND ROVER FREELANDER MK1 1.8L 97-06 ENGINE ECU NNW500101, AS PICTURED. COMPATIBLE WITH FREELANDER PREFACE-LIFT MODELS 1.8L PETROL BETWEEN 1997 -2006 YEAR. ALSO MOST OF THE BODY PARTS WILL FIT Land Rover FREELANDER 2.0D TD4 1997-2006 (PRE-FACE). Unit 1, zone 4A. Used part in good condition and working order. Whenever possible, we provide the part number. If in doubt, ask. Get images that. make Supersized seem small. 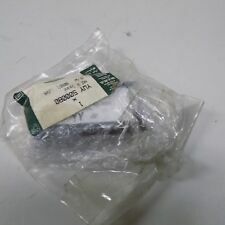 Part number XRA50031. 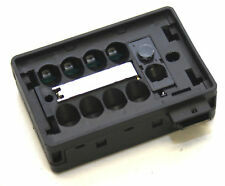 Range Rover Sport Traffic Master/Radio Receiver Module. BREAKING FOR PARTS LAND ROVER DICOVERY 4 SPORT L319 3.0TD V6 AUTO 256BHP ONLY COVER 87k 2013. MAKE SURETHE PART NUMBER MATCH WITH YOUR OLD PAR. All our parts are used second hand and off the shelf so may have storage marks on them. This listing is for a genuine Land Rover used part This Harman Becker Audio Module is from a 2010 Discovery MK4 (LA) Please match current part number of AH4218C941-AF as shown in photo. For Sale is a ECU Engine Control Module. Removed from a 2000 LR1510 LAND ROVER DISCOVERY 2495cc Diesel 5 Door Estate. Please see item description for more information, you will receive everything you see in the images. PART NUMBER xzr000020. LAND ROVER RANGE ROVER L322 TD6 DIESEL OR V8 PETROL MODELS. rotary coupler clock spring ingood used condition tested fully and removed correctly. T LAND ROVER REPAIR AND PARTS CENTRE. This listing is for a genuine Land Rover used part. This EGR Ecu is from a Discovery 1 300TDI/V8 Please match current part number of ERR6234 as shown in the pictures. Land Rover Discovery 1999 SE7 Sport Utility 4 Door. Land Rover Discovery 1999 SD Sport Utility 4 Door. Land Rover Discovery 1999 Series II Sport Utility 4 Door. With the following engine: -. PART NUMBER FOR REFERENCE - LR053667.